Responsible for creating, maintaining and implementing the source code that makes up the application or program. It also for designing the prototype application, indicate program unit structure, and coordinate application plans with the development team or client. Evaluating and increasing the program’s effectiveness. Adapting the program to new requirements, as necessary writing detailed documentation for the operation of the program by users and computer operators. Understand the client requirements, do ground work on the client requirements and create a research plan. Create research and technical content as per the requirements. Should have a good hold on technology and be ready to pick up anything new. Assist MapReduce programs are running on the Hadoop cluster. Designing, developing, installing, configuring and maintain Hadoop. 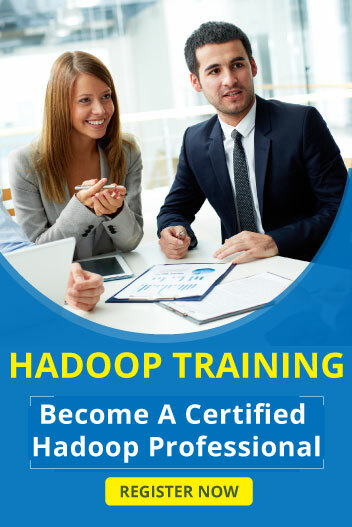 Responsible for troubleshooting and development on Hadoop technologies like HDFS, Hive, MongoDB , Sqoop, Zookeeper, Spark, MapReduce2, HBase. Experience with maintaining MS SQL Server 2012 R2 objects and handling performance issues.